Paris - Published Tuesday, April 2, 2019 - 16:14 - #143280 "Ironically, the U.S. sports leagues are run on a relatively socialist distribution model, while in Europe the sports business is a complete free-market wild, wild west, where in the end something like 90% of the revenue goes to probably less than 10% of the clubs in Europe. As a result, in Europe, for the most part, the rich get richer, the middle clubs stay in the middle, and the poor stay poor. Too many clubs receive subsidies from owners and municipalities. There is too much debt. Relegated teams struggle to survive, and promoted teams struggle to stay up," stated Marshall Glickman (USA) of the sports consulting agency G2 StrategicG2 Strategic, to News Tank Football on 02/04/2019. 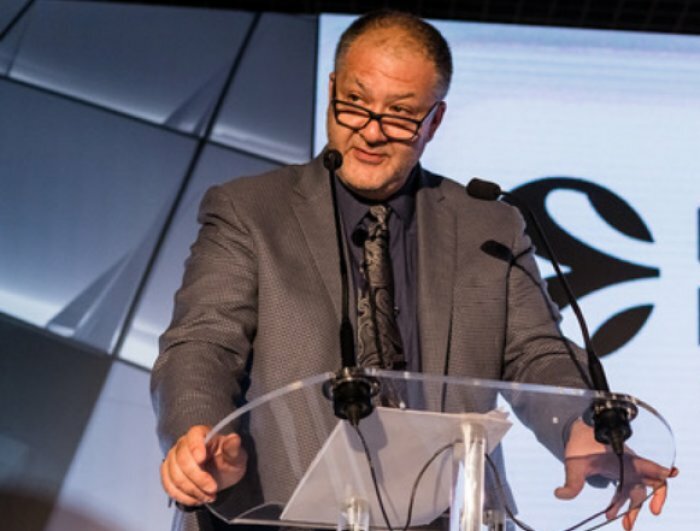 Marshall Glickman, formerly the media sales director of the NBANBANational Basketball Association, Ligue professionnelle nord-américaine de basketball. in the 1980s, president of the Portland Trailblazers (NBA), and leader of the group which eventually launched the Portland Timbers (MLSMLSMajor League Soccer, Ligue professionnelle de football nord-américaine (USA-CAN)), has been involved with European sports properties since 2002, including associations with EuroLeague Basketball, ATP tennis, the LFPLFPLigue de Football Professionnel, association qui gère les compétitions professionnelles françaises (Ligue 1, Domino's Ligue 2, Coupe de la Ligue) in France, LaLigaLaLigaLigue espagnole de football professionnel and several major clubs (such as PSG, Olympique Lyonnais, Olympique de Marseille, Athletic Club, Valencia CF, Real Betis Balompié). 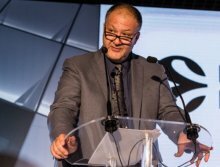 "Ever so slowly, you can see European sports moving in this direction: trying to limit relegation and adopt play-off systems. 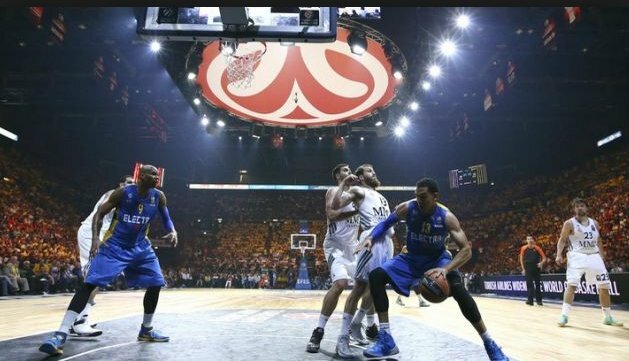 I don't think EuroLeague or any other league will ever be 100% closed like the U.S. leagues. 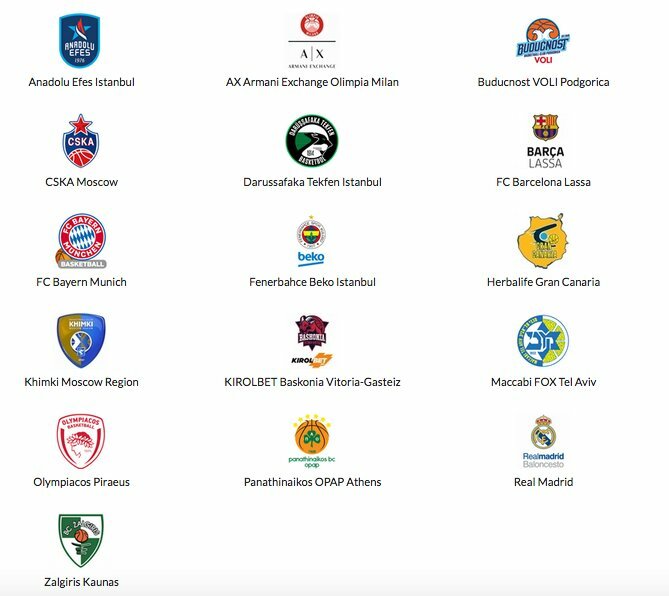 But (the new) EuroLeague (club) license system is kind of a hybrid between the American system and the European tradition. And this is a sensible approach, because as soon as EuroLeague restructured, IMGIMG walked in and said, 'Hey, now you're an interesting property to us. Now we see consistent value that we didn't see before.' And IMG is a giant, and now that EuroLeague Basketball has a 10-year initial deal with a potential additional 10-year option with them, this raises the bar of credibility in the business world," added the founder and CEO of G2 Strategic. First, let's talk about G2 StrategicG2 Strategic, your consulting agency for sports and entertainment companies. What are some of the activities and services that you provide? Background in managing sports and entertainment propertiesMy background is in managing sports and entertainment properties, and developing infrastructure related to these kinds of properties. So when I work with G2’s clients, we typically define a scope of services to address a specific area. Maybe it's premium seating, general public ticket sales, or maybe its sponsorship strategy, fan engagement, digital transformation, organizational structure and business culture. Throughout my career I've also been involved a lot in broadcasting and media rights deals, so sometimes there is work in that area. 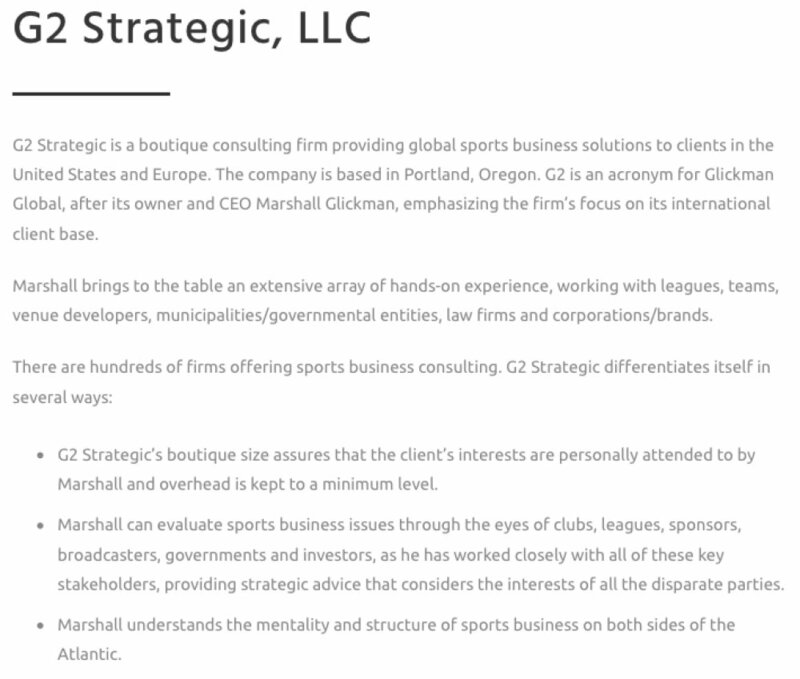 G2 Strategic What often happens is that I enter into an agreement, for example, with LaLigaLaLigaLigue espagnole de football professionnel, where there is a specific scope of services which, in this case, is to drive new customer acquisition, increase retention, and increase customer spend. Those are the fundamental objectives of our agreement. In Europe, a huge opportunity ahead for clubs and leagues that embrace the futureThat said, the scope of work often evolves, as I get to know the league and the clubs, so often we end up addressing a wide range of issues, sometimes very specific to a club's situation, and sometimes broader to the league level. Fundamentally, as I see it, my role is to be a change agent. To try to motivate clubs and particularly the decision-makers to embrace, rather than fear, change. In Europe, there is a huge opportunity ahead for the clubs and leagues that fully embrace the future. Very briefly stated, your CV includes previously being the head of media sales at the NBA, president of the Portland Trailblazers (NBA), and also chairman of Portland Family Entertainment, which, among other properties, launched the group which would later become the Portland Timbers (MLS). So how is that you became involved in so many European sports projects? J. Bertomeu, EB - © n/a At Portland Family Entertainment, our group of 13 limited partners had, by design, sold our assets and properties, so I stepped out in 2002. 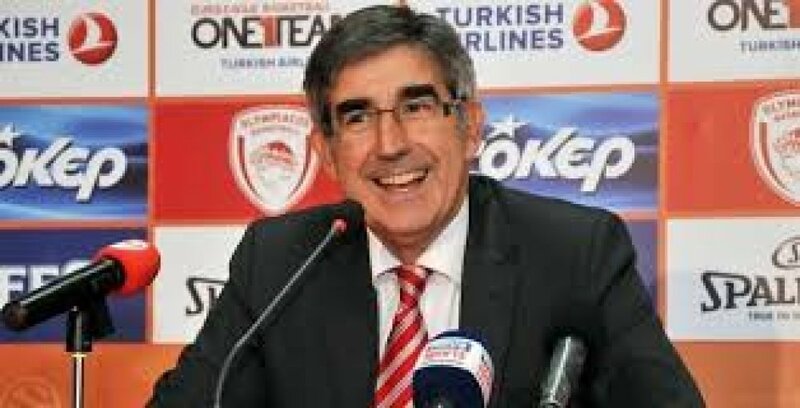 Then, within a month or so, I get a phone call from Jordi Bertomeu, who was then and still is the CEO of EuroLeague Basketball (EB). At that time, I had no idea what EuroLeague Basketball was and I'd never heard of Jordi! 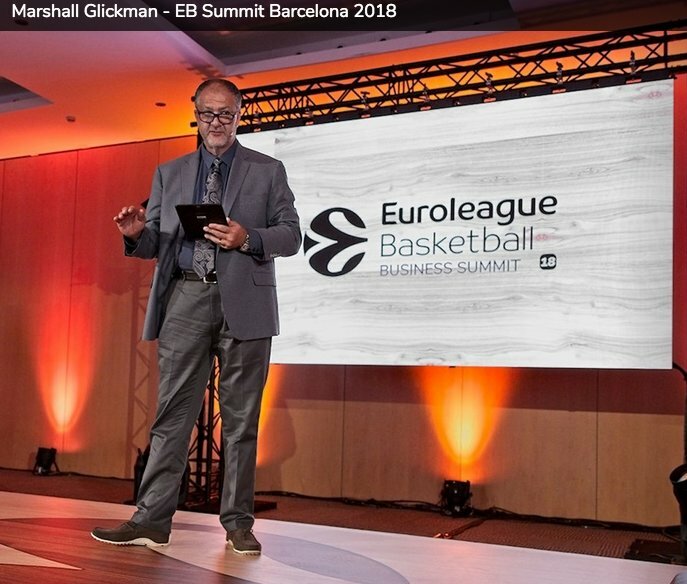 Help EuroLeague evolve from a sports competition to a sports businessJordi and EB inquired about my availability for a very interesting idea, which was to help the league evolve from being a sports competition to being a sports business. That was really the gist of it. Jordi had gotten my name from a couple of sources, one of which I'm sure was David Stern, the commissioner of the NBANBANational Basketball Association, Ligue professionnelle nord-américaine de basketball. at the time. I am lucky to have a long-standing relationship with David from when I worked for the NBA in the early days, when there were only 50 employees at the league. I ended up heading to Barcelona (ESP) to work with EB, on what was initially a four-month contract, meaning it was really a "get to know you" period. So, I walk in the door at EuroLeague’s Barcelona headquarters, thinking I know something because I'm an experienced sports executive from the United States, and I discovered in one week that I didn't know a damn thing! It was an incredible learning experience. With Jordi (Bertomeu) I'd get lessons about the nuances of European sportsI'll never forget that Jordi, who was very busy, always took the time, probably once a week for the first two months, to bring me into his office, and we'd spend an hour where I'd get a lesson about the nuances of how European sports is structured, why things are the way they are. Why there's relegation and promotion, why there is much more government authority in sports-related matters. The fact that all the venues in those days were owned and operated by municipalities, with the clubs having little control as they were only tenants. The intricate political aspects... All these things that, for a guy coming from the USA, were very strange and unfamiliar. This period with EuroLeague was an invaluable education. I ended up spending two years in Barcelona, where I was never a direct employee of EB, but rather an external consultant, though I physically worked in their offices. I came in and tried to change many things fast, but had to learn how to be a bit more patient, which is not my best quality, and figure out how to navigate the unique complexities of European sports. Fortunately, Jordi and his colleagues valued my feedback and we were able to implement many changes. After that experience in Barcelona, I started G2 Strategic in 2004It was after that experience that I started my business, G2 Strategic (founded in 2004), based on what I think is my ability to adapt best practices from the USA in a way that respects economic, cultural and political realities that are specific in each country, region and market. Now, 17 years later, G2’s relationship and work with EuroLeague Basketball continues. Could you give us some sense of where EB was in 2002? There was a lot of skepticism, and now it's 2019 and EuroLeague is almost at 20 yearsWhen I came to Barcelona in 2002, they (EB, founded in 2000) were two years in. EB was independent of the governing body (FIBA), so I'm sure FIBA saw that as a threat to their status as the sole basketball authority. In the beginning, my understanding is that some clubs resisted the idea of independence. There was a lot of skepticism. And now it's 2019 and EuroLeague is almost at 20 years, they have a long-term partnership with IMGIMG (Endeavor), and the league’s future is very bright. It's extraordinary! In 2002 when I arrived, we launched EuroLeague Properties. I pushed hard to try and bundle the commercial assets and to recognize that these assets are more than just static signage on LED boards and on-court stickers. At the beginning, EB had a really nice (media rights) deal with Telefonica that was paying pretty good money, but I felt this deal would not be sustainable, because this is a Spanish company that holds the rights to a pan-European product. The EuroLeague brand now resonates with the global basketball communityThe league has come so far. The production values on television are now high quality. Ticket sales are strong and growing, and free tickets are practically non-existent. Several of our clubs play in new arenas, and others are planned. The sponsorship platforms include a variety of digital assets, content and activations. The brand now resonates with the global basketball community. With their partners at IMG, EuroLeague now has daily business in London. By 2004, after two wonderful years in Barcelona, I made the personal decision to move back to the USA. And Jordi and I found a better arrangement for EB to be a client of what would become G2 Strategic, but not my only client. And I realized I had the basis to start a business which is primarily targeting European clients with the sports business expertise I can bring to the table from both sides of the Atlantic. What are some are the key challenges or differences between the European and U.S. sports business models? Challenge has been convincing clubs to look forward and not rely solely on winning gamesIn the 17 years I've been associated with EuroLeague, ATP tennis, the LFPLFPLigue de Football Professionnel, association qui gère les compétitions professionnelles françaises (Ligue 1, Domino's Ligue 2, Coupe de la Ligue) in France, LaLiga and several major clubs (such as PSG, Olympique Lyonnais, Olympique de Marseille, Athletic Club, Valencia CF, Real Betis Balompié), change has been the one constant. The challenge has always been convincing the clubs to look forward and not rely solely on winning games. We have to fight the "this is the way it’s always been done" mentality, because, historically, sports results have been the only metric that counts. Of course, this mentality is changing and now many best practices can be found in Europe. The biggest difference between the models in Europe and the U.S. is relegation and promotion and economic distribution. Because of the vast economic disparity, clubs that are in the relegation and promotion zone focus on winning and tend not to invest in business-side human resources that will drive revenues and take care of the fan experience and providing memorable moments. In the US, the basic principal is for the leagues and clubs to work together for collective economic benefitOn the economic side, in the U.S., the basic principal is for the leagues and clubs to work together for the collective economic benefit of everyone. For example, the revenues collected by the leagues from national television, international business, licensing royalties and national partnerships are re-distributed back to the clubs equally. There is a draft system that is designed to assure that the worst teams have the first shot to bring in the best young players. There are various forms of salary caps and revenue sharing. In Europe, with Financial Fair Play, things are improving, but sports results still are the biggest determinant when it comes to league-generated revenue distribution. The challenge remains that the rich clubs get the lion’s share of the money, so they stay rich, and the others struggle to compete. In the US, the team trademarks are assigned to the leagues, who then have leverage to monetize them collectivelyAlong with this market fluctuation, there's also the very big difference in the approach between European and American sports. At one point I was working on what would have been league-wide kit supplier deal for EB, which probably would've helped all the teams. In the U.S., the teams don't own their own trademarks; instead, the trademarks are assigned to the leagues, who then have the leverage to monetize them for the benefit of all clubs. The teams get to use those trademarks as part of their franchise agreements, but for marketing purposes, the league can put all these teams together and negotiate massive deals, not just the jersey and equipment deals, but other league-wide sponsorships. And the American leagues make a ton of money with this system! Which then, after deducting operating expenses, all gets distributed to teams. And everyone's happy, more or less. Ironically, the U.S. sports leagues are run on a relatively socialist distribution model, while in Europe the sports business is a complete free-market wild, wild west, where, ultimately, and I'm not speaking exact numbers, but in the end something like 90% of the revenue goes to probably less than 10% of the clubs in Europe. As a result, in Europe, for the most part, the rich get richer, the middle clubs stay in the middle, and the poor stay poor. Too many clubs receive subsidies from owners and municipalities. There is too much debt. Relegated teams struggle to survive, and promoted teams struggle to stay up. If you're under threat of relegation, how do you build a long-term business strategy?The system is what it is and, of course, from a competition perspective, relegation and promotion is compelling. That said, with this model, how do you build a long-term strategy? How do you get a bank loan if you're under threat of relegation? How do you borrow to build a stadium if your repayment plan is based on gate revenue that will cease to exist if the club is relegated? It’s complicated, but I love working in this challenging environment! And now, in 2019 EuroLeague Basketball has entered a new phase, which is no relegation? All teams are able to host the big brand clubs, which has stimulated big increases in attendance and sponsorshipNot quite, but the structure is certainly moving in that direction. Three years ago, EB restructured their competition, eliminating eight teams (from 24 to 16 teams), which guaranteed that all clubs would play each other home and away. This move immediately increased the quality of the competition, because more of the best players are going to migrate to those 16 teams. This change also eliminated the need to have a draw, so now all teams are able to host the big brand clubs like Real Madrid, CSKA Moscow, Maccabi Tel Aviv, Bayern Munich, Fenerbahçe and FC Barcelona, which has stimulated big increases in attendance and sponsorship. Create essentially a no-relegation license that has been granted to 11 of the 16 teamsThe second good decision was to create a license, essentially a no-relegation license that has been granted to 11 of the 16 teams. This means that teams in certain key markets are going to be there regardless of sports results from one year to the next. The license is not based on sporting criteria. This creates certainty for both those 11 clubs and the league itself. For the other five slots, four are licensed to specific leagues around Europe, for their domestic champion to join EB, and the last spot is for the winner of EuroCup, which is EuroLeague’s second competition (like Europa League in football). I don't think any European sports league will ever be 100% closed like the U.S. leaguesNow, ever so slowly, you can see European sports moving in this direction: trying to limit relegation and adopt play-off systems. I don't think EB or any other league will ever be 100% closed like the U.S. leagues. But this license system is kind of a hybrid between the American system and the European tradition. And this is a sensible approach, because as soon as EB restructured, IMG walked in and said, "Hey, now you're an interesting property to us. Now we see consistent value that we didn't see before." 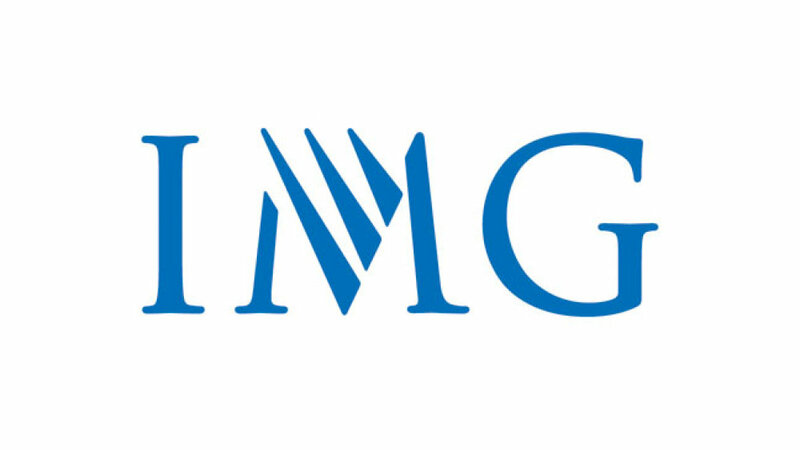 And IMG is a giant, and now that EB has a 10-year initial deal with a potential additional 10-year option with them, this raises the bar of credibility in the business world. And beyond that, the deal is structured as a true partnership, called EuroLeague Ventures, so both sides are incentivized to grow the business, the brand and the value of the license. 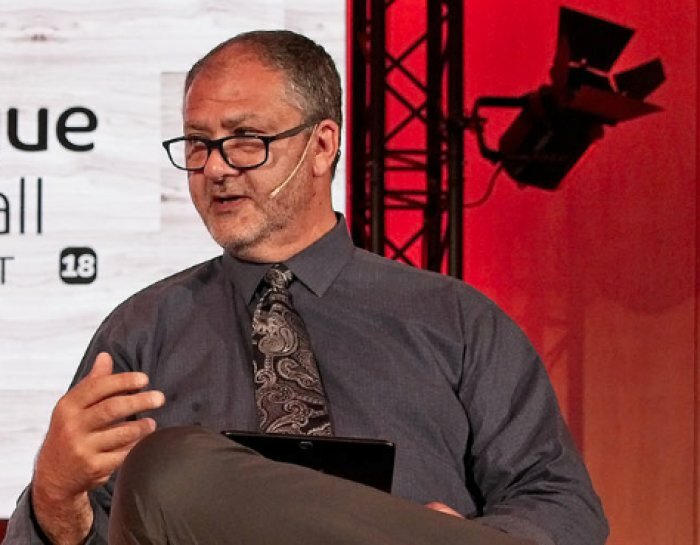 EuroLeague Basketball - © EB IMG brings a tremendous amount of know-how and expertise in how to manage the commercial bundle and bring more value to it. We're talking experience with deploying the latest technology, really advanced fan research, making the IP more valuable and so much more. We've raised the stature of what it is to be a EuroLeague club, especially at the business levelAt the EB-level, we've made significant progress as well. We've raised the stature of what it is to be a EuroLeague club, especially at the business level. First, we established a new division, Business Operations & Club Services (BOCS), which is patterned after the NBA’s TMBO (Team Marketing & Business Operations). Next, the league has mandated that clubs must have a chief business officer (CBO), and then created a CBO board at the league level, as a forum for exchange. G2 is proud to be on this board and be active in changing the business culture and elevating the level of business operations at the league and club level. 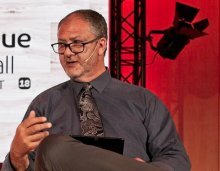 EuroLeague's future as a unique entertainment-based product that is very much customer-drivenI'm really excited about where EuroLeague Basketball is going, because of the changes they made, because of the business talent they have hired, and because of the business conversations they are now having. I definitely believe in this model and the future of EB, and its future as a unique entertainment-based product that is very much customer-driven, as consumption habits change, especially with Generation Z and Millennials.